If you are looking for one of the best birthdays and magic shows for kids in Vancouver, B.C. or you’re searching for lots of fun and a ‘one of a kind’ performance worth remembering for years to come, let Peter Rooke add sparkle to your event, whether it is a birthday party, or at Halloween, Christmas or any other special occasion. Peter is one of the most experienced magicians in giving magic shows for kids around Vancouver and the Lower Mainland, B.C. 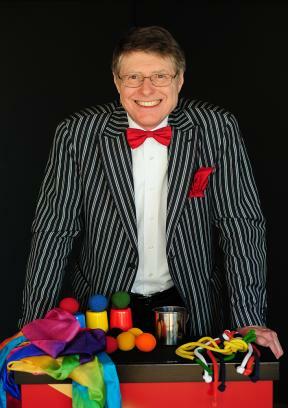 He has been performing for over forty years with his amazing and amusing acts from birthdays to children ’s parties of any type. Using his ‘bag of tricks’ learned from the best magicians in the business, Peter can give you a special magic show for children of all ages. Even for senior citizens too – Peter has had much experience in this field performing his magic shows. He offers competitive prices, and you can be rest assured that children will definitely have a fun and magical time. Parents and/or the organizers will too! For a colourful, lively, magical show that is full of laughter and fun, Peter Rooke can give you the best of what a magician can offer! FOR FUN AND LAUGHTER WITH INTERACTIVE MAGIC SHOWS THAT WILL LEAVE KIDS IN AWE, MAGICIAN PETER ROOKE WILL AMAZE YOU WITH HIS MAGIC AND ANTICS!